Undertaking an upgrade programme of 22,350 social housing properties is no mean feat, and when it came to selecting new bulkhead lighting solutions for the residential buildings, Edinburgh Council needed to bear in mind the cost, performance and time required to install the products. There was the added concern of the new lower communal ceiling height that had resulted from the thermal insulation renovation, which meant the need to search for an alternative fitting was looking likely. However, EVO`s unique ability to be recessed via removal of the mounting skirt meant it was the perfection solution, enabling the installation to go smoothly, with the fitting utilised in a greatly reduced vertical space. 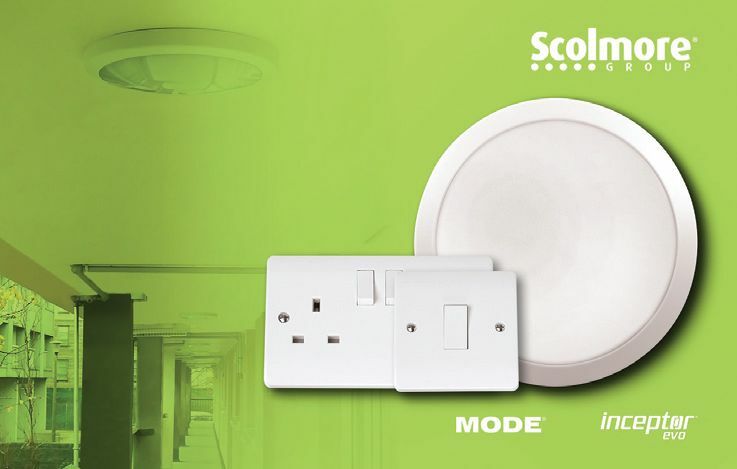 Having looked at various products on the market, Scolmore’s Inceptor EVO standard bulkhead was selected, because, according to the council’s electrical and design teams, it provided an overall solution that no other competitor product could offer. The ability to remove the surface mount adaptor ring means that the fitting can be easily semi-recessed to overcome the problem of low ceilings and size of the fitting. Ease of installation, as well as cost and performance of the bulkheads were also cited as crucial for the project, and they are now being installed in all the kitchens and bathrooms in the properties being renovated.